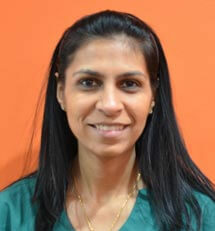 Pooja Pahilajani is a licensed physical therapist with a bachelor’s degree from MGM Medical College, India. She is a certified vestibular therapist and has experience in treating conditions such as vertigo and vestibular neuritis, post-head injury, dizziness and balance disorders with success. Pooja has more than six years of experience working for outpatient physical therapy and is experienced in treating a wide variety of orthopedic and neurologic conditions. Experience in manual therapy and mobilization techniques, Pooja has been able to help patients with pain related to neck and low back injuries.